Mantra Surf LED floor lamp features a square, flat base supporting a tall stem all in a chrome and silver finish with frosted acrylic diffuser. The product code for this floor lamp is M5104. This brand new collection by Mantra takes a simplistic design and injects it with an innovative combination of chrome, silver and integrated LED's within the framework to create a magnificent and effective lamp. 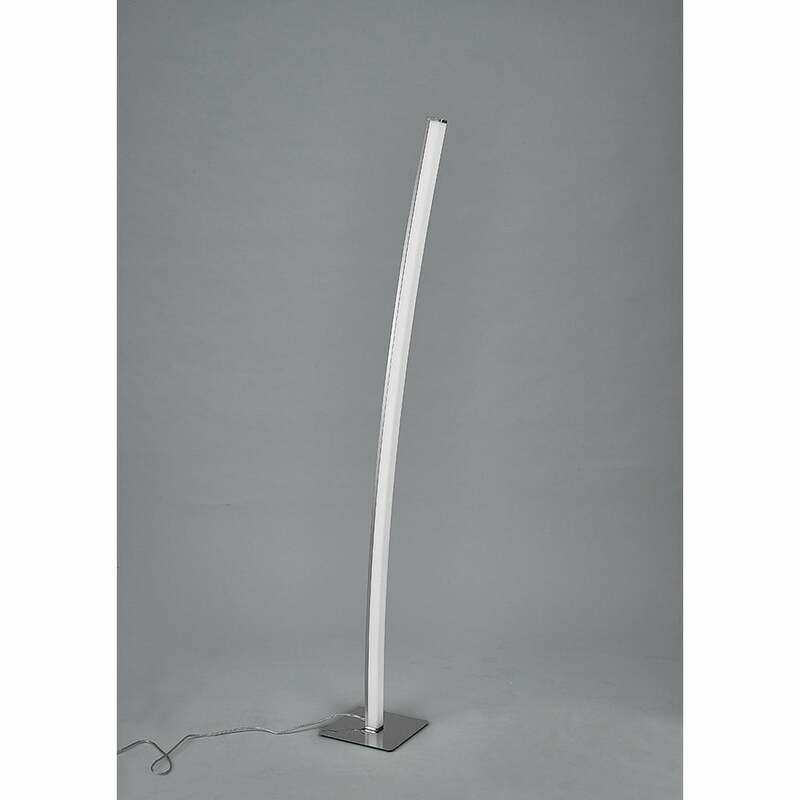 The LED emits a bright, warm white light to your space through its smooth, slightly curving arm producing a seamless effect, making this contemporary floor lamp an ideal choice for modern rooms. Comes with a 3 year guarantee, is double insulated and can be dimmed by using the touch dimmer feature. Also available in this exciting new range from Mantra is a ceiling pendant, flush ceiling fitting and a wall lamp all of which can be viewed and purchased via our website.